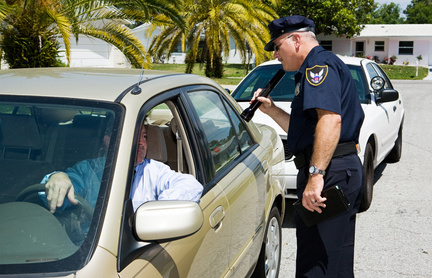 Drivers in Texas should be aware of the new laws that took effect on September 1, 2013. Failure to know of these new traffic and driving laws could result in a fine or more serious penalty. Texas law enforcement agents are cracking down on drivers, and ignorance of the new laws won’t be a viable defense. With school in session and kids continuously crossing the street, cops everywhere are looking out for speeders and other offenders. Some of the new laws help students while on school grounds or school crosswalks by expanding on the current cell phone regulations. Cell phone use is now prohibited in school zones and school crossing zones to help protect kids from texting and distracted drivers. There are new and increased fines for passing a stopped school bus and the fines will increase incrementally for repeat offenders. Texas drivers are also expected to follow new rules that are unrelated to school zones. Now, all drivers must decelerate to 20mph or move over to an adjacent lane when emergency personnel flash their lights. This also applies to vehicles in the Texas Department of Transportation. Not all of the new laws inhibit things: a new law allows proof of insurance to be stored and shown on cell phones for added convenience. The new laws are not only for drivers, as there are new laws for students, gun owners, and regular citizens as well. For gun owners, the new application for a conceal and carry license requires four to six hours of personal instruction before one can even go the range. Previously, applicants needed 10 to 15 hours of instruction. There is also the chance for current license holders to renew their license online and without hassle. For high school students, graduation is now only five standardized tests away, and not the previous 15. A new law will also restore $4 billion in public school funding. HB 347 – This law expands on the previous cell phone limitations for drivers. It prohibits cell phone usage in all school crossing zones, and this includes crossing zones in public schools of all grades. The prohibition of cell phone usage only applies to areas where speed is reduced, and it does not apply to parked or stopped cars, or those using a handheld device. HB 1174 – This law increases the minimum fine for the misdemeanor of passing a stopped school bus. To prevent accidents around boarding or un-boarding children, this law will bring the minimum fine to $500 and the maximum fine to $1,250. For each subsequent violation in a five-year period, persons will charged with a misdemeanor with a fine up to $2,000. SB 181 – This bill allows drivers to store and show their proof of insurance via their cell phones. This allows for easier access and storage, and is provided in the hopes of allowing more drivers to always have their proof of insurance with them. It should be noted that this does not give law enforcement the right to search cell phones without a proper warrant. SB 510 – This law updates Texas’ current Move Over/Slow Down law, which requires drivers to move aside when enforcement vehicles approach with flashing lights. Drivers now have to slow down to 20mph, or move aside to the right when enforcement vehicles or Texas Department of Transportation vehicles approach with flashing lights. The bill also expands on the permissible fines: $200 for failure to comply, $500 if the failure to move causes property damage, or a Class B misdemeanor should the failure to comply result in any bodily harm. HB 625 – This expanded law increases the penalty for vehicles operating on a highway without properly displaying both front and rear license plates. The offense is now a misdemeanor with a fine up to $200. HB 3668 – This law requires the driver of a vehicle that was involved in a serious accident to not only stop at the scene, but to quickly determine if anyone is harmed as a result of the accident; if so, they must determine if the person requires aid and react accordingly by calling the proper authorities and staying at the accident scene until assistance arrives. The driver must also wait for law enforcement to arrive in order to provide them with identification and liability automobile insurance information. SB 275 – This provision increases the penalty for those that leave the scene of an accident that resulted in the death of a person. By failing to provide aid or assistance, the penalty has changed to a second-degree felony as opposed to the previous third-degree felony. A second-degree felony carries the punishment of two to 20 years in prison, and a potential fine up to $10,000. HB 1284 – This law updates the penalty for creating a false alarm and knowingly providing the false alarm to authorities. The penalty has been increased to a state jail felony. HB 124 – In response to the current drug scene, this provision adds Salvia Divinorum (also known as Diviner’s Sage, Magic Mint or just Salvia) to the Penalty Group 3 of the Texas Controlled Substances Act which increases penalties and consequences. To receive a complete education about new Texas driving laws 2013 and many other important driving laws and techniques to become a better and safer driver, you may enroll in a Texas Online driving school (also known as Texas Driving Safety or defensive driving course). As an added bonus to becoming a safer driver, this course also allows a dismissal of a recent traffic ticket and a discount on your automobile insurance.